Tired Of Popping Pain Pills? This pain solution is like nothing you’ve ever tried. 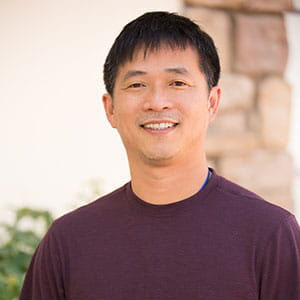 Hi, my name is Dr TK Huynh. It’s my sincere honor to share something with you that changed my life, and that of my loved ones. Starting out as a refugee from Vietnam, I know what it’s like to stand by, helpless, when you or someone you love is in pain. When my family and I came to America, thanks to the kindness of a church community in Houston, Texas, I promised that I would dedicate my life to expressing my gratitude for this fresh start. Something that truly made a difference. After getting my Doctorate, and becoming a compounding pharmacist and regenerative medicine specialist, I eagerly went to work. I watched countless patients come in, week after week, getting all sorts of pills. They were spending small fortunes on these pills… but no one seemed to be getting better. Even more worrying, they often needed MORE pills just to handle the ones they already had. This isn’t true care. It was a nightmare. I remember staying up at night, feeling wrong about simply selling pills to these people. Watching the costs eating away at their bank accounts. Watching their health continue to decline. Finding a REAL solution to pain. Something that didn’t break the bank, and didn’t have nasty side effects. …and studying with some of the finest minds in natural healthcare. It’s like nothing else you’ve ever tried. Merged with a cutting edge concept called “infoceuticals” -- the science of sending very specific signals to your brain and body, to support optimal wellness. And when you’re in pain, it can be hard to plow through long-winded articles. You need relief now. So that’s what I’m going to focus on today. With NO RISK to you whatsoever. I will completely guarantee that you’ll love the product, or I’ll refund your money, no questions asked. Again, this means that if for any reason you are not thrilled with the results from MindBody Matrix Pain Relief Cream, you’ll get a complete refund. It’s as simple as that. Now that you’ve learned all this, you have two very different paths ahead of you. If you stay on the path of using pills and just “dealing with” the pain… you’ll have to keep facing that as your reality, every day. The pain will be your constant companion, isolating you from the people and activities you love. Distracting you from everything you could be. It sounds awful. It’s the path too many people are on. But this doesn’t have to be you. There is another path. 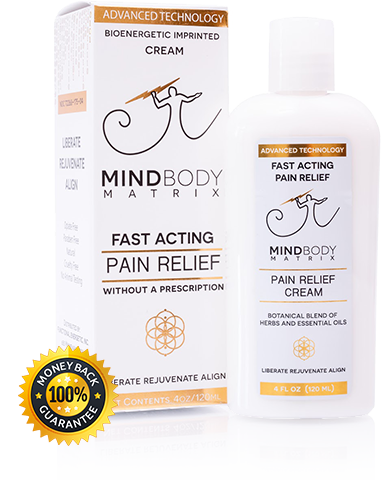 With the special formula and technology in MindBody Matrix Cream, you can start living your life fully, letting your pain pills gather dust in your medicine cabinet… because you won’t need them! The MindBody Matrix Pain Relief Cream uses something called “Red Light” (originally developed by NASA), which we “infuse” the cream with. There are some absolutely fascinating studies on this -- to learn more, click here. In addition, I use some of the best botanical extracts, revered throughout history for their effects. Everything I put in is added with the intention to ease your mind and calm your body even further, addressing specific forms of pain in your body. There’s one more big benefit from using this product. You also make the world a healthier, happier place, since I will match every purchase with a free bottle given to a veteran in need. In Vietnam, I saw how hard it was for the soldiers… and I know how hard it was for them, upon their return to the US. Too many of them lost their ability to enjoy life. Physical pain and emotional trauma destroyed it. Their faces light up when they feel relief, at last. It’s incredible to watch them laugh, surprised and joyous, knowing they’re at the start of getting their lives back. THAT is what this is all about. Giving people back their hope. Their dignity. Together, we can give back to those who need some extra help. My life changed because others, who didn’t even know me, were generous enough to give my family and I a fresh start in America. I can’t even imagine what it would be like if we were still in a refugee camp, instead of Fresno, California. I’ve been so blessed with the opportunity to come here, to meet my beautiful wife, and start a family. I want others to enjoy every part of their lives too. I like to think of this as a way of working together to pay it forward to others. Each time you make a purchase, I donate one bottle to a vet for FREE. Together, we can make a difference. With all these ingredients combined, and knowing you’re helping others, you’re covering everything you need for a rejuvenated, joyous life. And if you want, you’ll even be able to surprise your family by taking care of all those home projects you’ve had to leave unfinished “until you had a good day” with your pain levels. Plus, you’ll finally start relaxing in your body again. Trusting it to do everything you need… and everything you’ve secretly been wanting to do. Just excitement for whatever comes next. You walk comfortably back to your car and head off for some errands… smiling to yourself. Start taking MindBody Matrix Cream as soon as you receive it. ...you feel a deep sense of peace and relief. You’re not just giving your body a momentary respite from your pain. You’re building an entire new lifestyle for yourself. A future full of possibilities. As the days go by, you’ll feel less frustrated and worried about your pain. Everything from work to play will be easier – you won’t even have to think about it. Your REAL SELF is back. Using this pain relief tool, you give yourself a fresh start to enjoy your life. 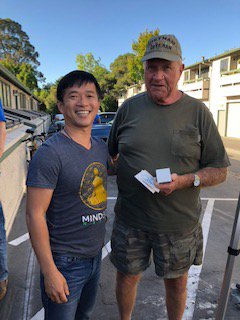 There’s no question in my mind, after all the successes I’ve seen, that MindBody Matrix Cream is the pain relief breakthrough you’ve been waiting for. I’m so confident this formula is going to turn back time in your eyes, I want you to try MindBody Matrix Cream with ZERO risk. You have a guarantee when you try MindBody Matrix Cream today. Reserve your supply of MindBody Matrix Cream today. Then, when your supply arrives, open your first bottle immediately. As soon as it arrives, get a timer (such as your watch or phone), open the package, take the bottle and sit down. Place the cream on a spot where you need it, such as your knee, as well as a small amount on the back of your neck and over your heart. Set the timer for 5 minutes (although many people find it works much sooner). Relax, listen to your favorite song, watch a funny cat video on YouTube, or enjoy a snack. When the time is up, stand up. Move around. See how you feel. You may find yourself surprised by how much more mobility you have, in such a short period of time. You may also be surprised by the fact that you feel more relaxed. Settled. Like a nagging stress that’s hung over you has pulled away, leaving you clear and open to your day. Because it’s going to be so much fun to see how much better you feel! Go to work energized and focused, without pain distracting you. Enjoy your favorite activities with your loved ones. So you can know for yourself that your life is changing for the better! But if, for any reason, you aren’t 100% satisfied with your results, simply give us a call and we’ll give you back every penny, no questions asked. Let me repeat that… if for any reason at all you’re not thrilled with the results, simply request a refund and we’ll be happy to oblige. We want to make sure this truly makes a difference for you. This way, there’s no pressure… and no risk… when you try MindBody Matrix Cream today. When you see the button below this presentation, click on it and fill out your shipping information on the next page. Once you do, we’ll begin packing your shipment of MindBody Matrix Cream and then we’ll rush it your way. Carefully packed inside will be your initial supply of MindBody Matrix Cream. Start taking it… and the special combination of technology and botanical formulation inside MindBody Matrix Cream will rejuvenate and settle your body, just like it’s been waiting for. Your body will finally feel deep relief. In fact, very soon, you’ll have your “I’m back!” moment. ...without the limitations the pain put on you. It might be when you’re on a walk with friends, enjoying the feeling of strength and confidence in your body. All thanks to this groundbreaking formula… and YOU choosing to care for yourself. Easy and effective. As it should be. And, of course, you take no risk at all. Your 100% satisfaction is ALWAYS personally guaranteed by me. Your body will have exactly what it needs to release pain and tension with MindBody Matrix Cream. This formulation is full of exactly what you need for a fresh start and freedom from your pain. These ingredients work powerfully together on so many layers of the body, while having a hardly-noticeable scent. No heavy menthol smell here! With only carefully sourced natural ingredients and such a profound blend of science and nature, your body will feel fully ready to open into deep relief. Plus, with your renewed ability to move and take care of yourself, your body will grow stronger, helping you to feel more energized, youthful and positive. Start creating your life again… instead of pain telling you what you can do. So if you’re ready for a life of joy and relief from pain… go ahead and click the button below now. It will take you to our secure reservation page, where you can select your initial risk-free supply of MindBody Matrix Cream. 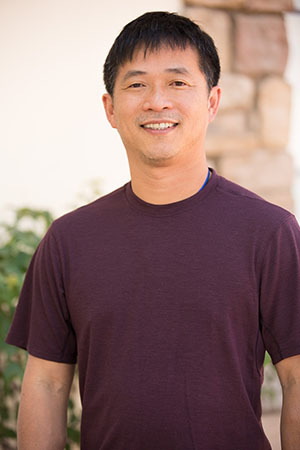 I’m Dr. TK Huynh with MindBody Matrix. 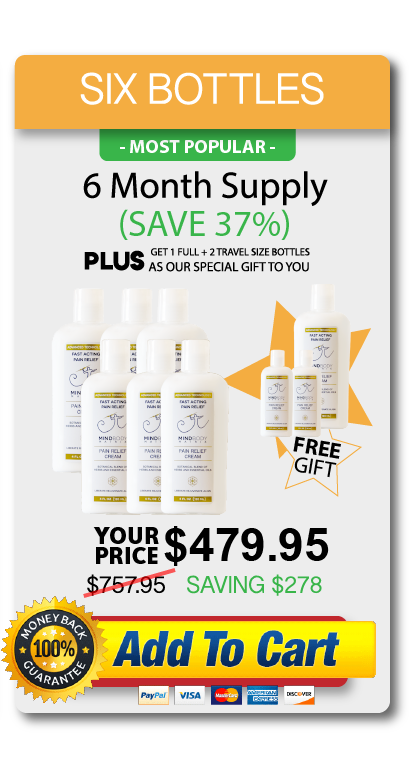 Click the “Add to Cart” button below to get your risk-free supply of MindBody Matrix Cream now for just $97.